Every year, the Arctic Frontiers conference is held in Tromsø to bring together science, policy and business to discuss current state, trends and future outlook for the Arctic from multiple angles. To let the conference end in a more casual format on Friday, the 27th of January, nine scientists were invited for presentation at the PechaKucha night at Driv Studenthuset in Tromsø. 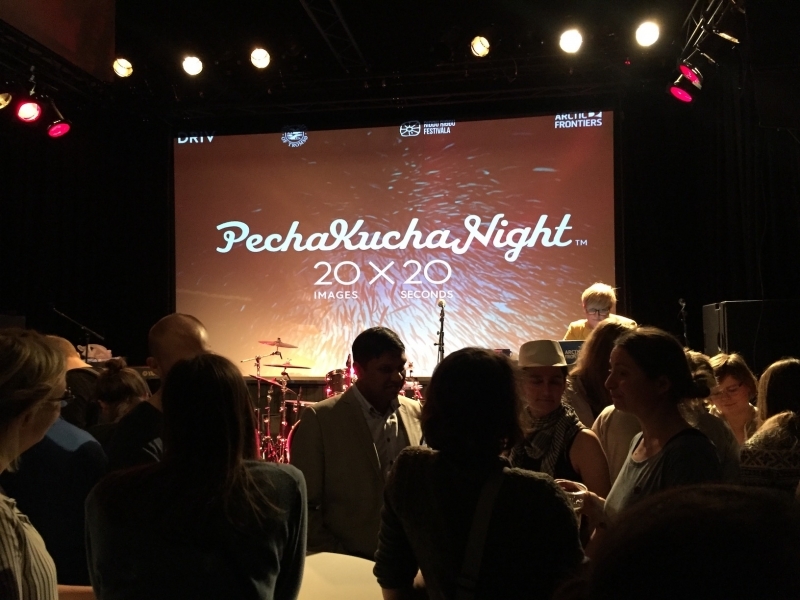 A PechaKucha talk is held in the form of 20×20 – 20 slides á 20 seconds – so the entire talk lasts for 6 minutes 40 seconds with only one picture on each slide. This makes it a very fast paced presentation with strong and appealing pictures instead of bullet points and graphs. Our ESR Charlotte took up the challenge and presented her SAF21 work on fisheries models to a crowd of 200 people. A great way to reach out to scientists and non-scientists alike!